Will is a Journalist, Screenwriter and Script Editor, as well as a trainee English and Media Teacher. He studied Media Writing at the University of Greenwich, where he also co-founded and ran the official Students' Union magazine, Latitude Lookout. After discovering how difficult the media world can be to break into, Will decided to create I'm With Geek in order to help promote the work of new and upcoming writers and creatives, providing training where possible and experience opportunities for talented writers who are overlooked by the industry. Over time, he hopes I'm With Geek can become the place for wannabe creatives to find their feet. Will juggles his time between teacher training and working closely with his fantastic team of Editors. Follow him on Twitter where he rants at the world! If you're interested in joining the team, email Will on editor@imwithgeek.com. Cookie is the mistress of cult and guilty pleasure cinema. Born in the University of Greenwich (a place of film legend), Cookie N Screen covers whole spectrum of weird and wonderful cinema including independent to foreign movies. Cookie is a passionate film writer who loves movies more than anything. (She also writes for UK Arts Directory, Cinema Chords, Film Debate and One Room With a View). She also writes, edits and promotes books and writers with Tin Hut Tales Publishers). But Cookie doesn't just write about film. This year sees her working an film productions, writing screenplays and writing a novella. Cookie longs to live in a world of film; creating it, writing about it and watching it. She is delighted with the team and writers on I’m With Geek, hoping to produce the greatest film content ever! Graham is a graduate from the University of Greenwich with a degree in Digital Film Production. After fooling everyone for two years that he knew how to create a radio station as Head Technician, Graham decided that he should try his hand at creating a podcast. And thus began the creation of the IWGCast. Paul Costello is a critic, blogger and former film editor with a degree in filmmaking from the University of the West of Scotland. He’s been watching movies for as long as he can remember, and began the process of writing about every movie he owns on his blog: A Cinephiles Journey. He’ll be at that for a while. He’s also the resident film writer at TheStreetSavvy and a contributing editor at Static Mass Emporium. Helen is an English Literature graduate from Cardiff University, and was pretty much raised by the television set. At University she had reviews published in the student newspaper, until the section had to close (due to budget constraints – this is not a reflection on her writing). She had more success with play-writing and has spent the last few years working as a subtitler for various TV channels, which hasn’t yet dented her enthusiasm for all things televisual. One day she’d like to finish her novel or that play she promised a friend a while ago, but films and TV shows keep on appearing that need to be watched. As well as constantly staring at screens, she enjoys attempting to make nerdy crafts and failing miserably (a Dame Judi Dench inspired cross stitch is next on the list). Ben Mapp is a graduate of English and Creative Writing, whose dream it is to one day live in a world where the population is split between those who sound like Stephen Fry and those who sound like Brian Blessed. Ben has learned over the years that it is never easy to pursue a dream which so many others don’t believe in, but in the meantime he has chosen to surround himself with the people who mainly ask ‘why not?’ instead of ‘why?’ He hopes that such encouragement will keep him on the right track. Ben’s main passions stem from playing video games, going to see the latest cinema releases, and following all of the newest news in regards to both of those industries. He also finds inspiration from personal heroes of his such as video game writer Amy Hennig (writer of the Legacy of Kain series), film-maker Kevin Smith (creator of Clerks), Discworld author Terry Pratchett and, more importantly than any of those, Ben’s dear ol’ mum, who gives him the confidence he needs to shoot for the stars. Paul has always known what he wanted to be. From the age of four he was endeavouring to write a series of science-fiction novels that would appeal to a more mature readership than that of the Mr. Men. Sadly his success was hampered by his inability to spell. Many years later he remains undeterred and continues his quest to become a published and renowned author. While he is determined to chase his dream, procrastination is his constant nemesis. With so many books to read, shows to watch and games to beat it is difficult for Paul to concentrate on his work. Fortunately he also keeps a dedicated bunch of motivational experts in his employ who periodically flog him when he has not met his word count for the day. When he performs well his keepers allow him to have a cookie. Sarah graduated in English Literature and Italian. Having pottered around Europe as an English Teacher, European Tour Guide and Online Copywriter, she now works as Senior Creative Writer for a travel company. Comics have been a big part of world since she was a child: at 5, she was convinced she was going to marry the cartoon version of Dogtanian (despite him being a dog), and she grew up reading Judge Dredd, Batman and the X-Men. Her passion for all things superhero (and antihero) continues, and she’s very excited about her role as the Comics Editor for I’m With Geek. From Marvel to Manga, she’s looking forward to continuing to build the section and working with the team to make it bigger and better than ever. In her free time Sarah loves cheesy dance films, travelling and reading anything she can get her hands on – from comics to teen fiction to grisly crime novels. Her phone is full of (undeveloped) story ideas typed on the bus, and one day she hopes to be a successful novelist. Gemma recently graduated from the University of Hull and is now searching for a fulfilling career in publishing, journalism, marketing or PR. She spends a lot of time reading, writing and sharing the work of others around various media sites. She is currently in the middle of writing a sci-fi / fantasy story with the hopes of one day getting it published. She also enjoys watching television shows and helping those like her who are trying to break into a creative career. Hayley is a graduate of Creative Writing and Film Studies from Roehampton University and previously served as the university's Film Society president. Currently, she splits her time between working in education and freelance writing and photography work. As a photographer, she has held two successful exhibitions in Greater Manchester, and as a writer, she has covered topics as diverse as stand-up comedy, German expressionist cinema, and American soap operas. She also once won a mobile phone in a poetry competition, of which she is very proud. Hayley's major interests include comedy, vampire mythology, the superhero Hawkeye, David Bowie, and assembling lists. She also has a worrying passion for the godfather of bad cinema, The Room, which she has seen over 20 times. Jo, or Mojo as she is sometimes known, is a graduate of Media and English Language who lives and breathes all things film. She left her career of media sales to pursue the path of film development. She hopes to aid the next generation of writers and directors get their work to the big screen. Her hobbies, as well as film, include reading, writing, eating, collecting geeky film memorabilia and ridding the world of men who wear offensively short shorts. Jo is proud of her extensive and varied taste in film and will always take on the opposite opinion to her own. Unless someone doesn’t like The Nightmare Before Christmas. Laura has her diploma in Early Childhood Education and works as a qualified nanny. She can't fly, nor does she own a talking umbrella or a magical carpet bag (much against her better judgement). She's got a book, film and travel obsession, along with a weird knack for memorizing and reciting useless trivia. Laura's known as the resident geek amongst her friends, with a special interest in Harry Potter and Doctor Who. Her goal for the future is to open her own daycare. When she's not working and attempting to teach her charges how to say "Geronimo! ", she can usually be found reading or planning her next trip. Kim has a degree in media works as a freelance graphic designer and photographer. Due to a small change in interests however, she is now working as a care worker and loves every minute of it. When not doing this, Kim still finds time to help us with the lovely design work on this website and various other arty bits too. She leads an exciting life, usually found either at work, in bed or on the laptop. Leah is an aspiring script-writer come Journalist, and hopes to take Creative Writing at University next year, going wherever the road takes her. She loves everything TV, Film or Music related, and can often be found curled up in bed watching Doctor Who re-runs, having a Harry Potter marathon or at concerts of her favourite bands. With a pen or a pencil always close at hand, she plans to change the world one way or another, though preferably with enough time to spare to watch the next series of Sherlock. Robbie is a 16-year-old film buff. Since the day he joined his school’s film club, Robbie has had a passion for the art of film and TV. From comedy to romance to action to sci-fi, there is no movie he won’t watch. Since joining the FILMCLUB website, he has written over 100 reviews, but realised his passion for it after discovering the work of Mark Kermode, who he now cites as his hero. He hopes to follow his footsteps and become a professional film critic when he is older. Graeme is a well-travelled English teacher and author from a leafy village in Scotland. He has a Masters in Journalism from Örebro University in Sweden and, when not writing hasty articles about films and books, publishes the occasional short story from his cosy studio flat in St. Petersburg. He enjoys whisky and reading and needs more Twitter followers to promote an upcoming book. She has a thing for writing. It’s always been this way for her: written word over spoken, regardless of the language. She wishes that her writing could resemble a casted spell, woven so deeply into one’s soul that it compels them to keep on reading. Her genuine belief in the power of words will help her to create a book one day, which is her deepest yet unfulfilled dream. Until then, she’s trying this and that. Even though a quarter of the century has passed for her already, she still seeks her true passion and finds it quite hard to specialize in one domain only. Her process of figuring-out consists of studying Media and soon Digital Media for Print and Publishing, designing and editing the student magazine in her college, writing books’ and movies’ reviews and reading, fantasy mostly, in two languages. You will find her freaked out over unicorns and that’s thanks to her life inspiration: The Last Unicorn by Peter S. Beagle and its animated movie adaptation. Matthew’s first movie was a drive-in screening of Swiss Family Robinson and The Boatnicks. That was all it took. The bug bit and he was hooked for life. Desperate from an early age to make films of his own, yet trapped in the mire that was life before inexpensive digital imaging, he struggled through elementary, junior high and high school producing short movies on scammed super-8mm gear. After graduation from the prestigious film program at SUNY Purchase, Matthew began a double life as a cinematographer and writer. As cinematographer, he has over a dozen indie features to his credit, including the recent ESPN Thirty for Thirty film Big Shot (directed by Entourage's Kevin Connolly). As a paid scribe, he's written a pile of shows for Discovery Channel and History Channel, produced screenplays for the low-budget market, sold numerous short stories to smaller magazines, and is the author of the humorous memoir of life as a grade Z genre movie-maker: Film is Hell, available on Amazon or as a Kindle E-Book. Amber is currently studying towards her Film Studies degree in Leicester. It became clear at an early age that this is the industry that she wished to follow a career in. Having been watching and writing about films for so long, in education as well as for personal pleasure, she created a personal blog, Watch Love Talk Film, to finally present her writing and passion for Film and Cinema to the outside world. Amber has also achieved 1st’s in her script-writing classes although she prefers writing as a critic, journalist and all-round film lover. As well as writing, Amber has worked on various film productions over her years at University, having produced multiple adverts, music videos and short films. She’s worked as a writer, director, sound recordist, editor and more. Her University course has confirmed that this is what Amber has a passion for and that this is the path she wants her life to follow. You can watch Amber growing as a writer and filmmaker either on her blog, or Twitter. Liam is an aspiring film journalist from Brighton. He loves opinions, whether giving them or listening to them. He likes Harry Potter more than he likes his family. He's also partial to Wes Anderson, French New-Wave and John Hughes. You can find him on Twitter and his blog. 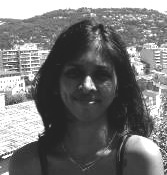 Verushka is a freelance editor, proofreader and blogger, with an unhealthy love for bookstores and stationery stores. She’s recently discovered that she has a rapidly developing app addiction, and blogs about all of the above, with some book reviews and editing posts thrown in for good measure. She’s also an avid reader and sci-fi geek. Her list of books to read is never-ending, and she likes it that way — especially with a cup of coffee in hand. Melissa is an aspiring Scriptwriter, Entertainment writer and a student of Film and Television at the University of East Anglia. A self-confessed fanatic of fantasy Television and Cinema, she spends her time watching copious box-sets, blogging and writing articles about Film & TV (oh, and doing a small amount of actual degree work). When she’s not writing, she usually spends her time scrolling through various memes of Tom Hiddleston and Harry Potter on Tumblr (whilst contemplating her life choices). Melissa has also ventured onto Twitter, after much resistance. Jack has a degree in Film and Media Studies and a Masters in Film and Cultural Studies, which his parents are ever so proud of! He is a blogger because he realised he should tell other people about his passion for film, comics and books instead of just his fiancé. He has his own blog, Blog The Blummin’ Doors Off, which you should also check out if you get the chance, or just follow it on Twitter as he needs the followers! His passion for film started at an early age when he was introduced to Back to the Future and has never looked back, even though this interest has led to an obsession with New French Extremism. You can also find Jack personally on Twitter where he won’t be talking about himself in the third person. Gloria is a former student and graduate of Canterbury Christ Church University where she had the pleasure to study English and most importantly Film! She enjoys everything from Silent Cinema to bullets flying across the screen – all thanks to Scorsese and Tarantino. On a rare occasion she has even been known to enjoy the odd rom-com, though don't quote her on that! As well as writing for I’m with Geek, she also writes for EasternKicks, Cinema Chords and FilmDebate. She hopes you enjoy reading her work and promises not to waffle too much. Gloria also uses Twitter, follow her on @Cinelanguage. Vanessa is a former graduate of the University of Greenwich, where she studied Film and she now works part-time in retail. Vanessa has always loved writing and would love to one day work within the media as a journalist putting her skills to use, writing about films or games (she love's both, she's not picky!). Star Trek, Marvel and the new X-Men movies, Michael Fassbender as Magneto in particular, own most of her affections. Her remaining love is given to video games, the Uncharted and Mass Effect trilogy being some of her favourites. Vanessa can be found on twitter and she probably should get into the swing of using it more often. She also uses tumblr but she says that if she gave you the link for that, she would probably have to kill you... or swear you to the utmost secrecy. John Philip Jennings is a graduate of Interactive Media, who aspires to be a writer and content creator, he loves writing because it allows his mind to be free to create rich expansive universes and new ideas. John has been expanding a science fiction universe he has developed over his free time for the last 4 years and hopes to one day show the world his idea with an amazing story, be it as a film, TV series or book, only time will tell. When not further developing his ideas, John loves watching television series and the latest films out in the cinema. John is also a long time video game enthusiast who loves playing a wide variety of video games when the opportunity or free time is available. Follow John on twitter for the latest gaming related news. Olivia is an aspiring writer with a big dream to one day be on the bestsellers list with a published novel of her own. Currently applying to do a Masters degree in Creative Writing, she is also in the process of writing that novel - and she illustrates it too – believing that visualizing your characters as you develop them is a very helpful! She generally splits her time between Uni studies, writing and always manages to find the time to read a good book, or two! Her favourite TV show is Sherlock and she finds Benedict Cumberbatch intriguingly attractive... She says that to name her favourite book would be impossible, as there are many favourites, not just the one – so three of her favourite authors include Nicholas Sparks, J.K. Rowling and Shakespeare. Obsessed with anything Disney, another dream would be to one day work on a Disney film script – but of course this is more of a pipe dream! Olivia can be found on Twitter and Facebook. Charlotte is an aspiring writer who one day would like to be on the bestsellers list. Recently she has taken to chasing her dream by writing her very own novels which she publishes online and also writing articles and reviews for I’m With Geek. She is also currently studying Media at City of Glasgow College. In her free time she watches numerous TV shows and reads copious amounts of books, both of which she admits she gets far too attached to. Her biggest inspirations in life are the music of Taylor Swift and the Harry Potter series by JK Rowling. Charlotte also claims that Rowling’s wonderful series is the closest thing she has to a religion. Follow Charlotte's efforts as a growing writer on Twitter and Facebook. Georgia has a degree in Magazine Journalism & Feature Writing, and is currently working as a Communications Assistant in London. When she isn’t watching horror movies or looking up Mean Girls/Star Wars crossover memes, she spends her time writing horror fiction, making jewellery, drawing cartoons, singing in various bands, and making witty remarks and puns that no-one else finds funny. An aspiring writer since she was given a Barbie typewriter for her ninth birthday, Georgia has shied away from traditional journalism in favour of geekery, fiction and movie reviews in all their forms. Her two main loves in life are movies and music (particularly all things horror and pop punk), with a side dish of watching entire series’ in one sitting and drinking a lot of beer. Liam Bland has been fighting the inevitability of his own surname for his entire life, with varying degrees of success... Working in Marketing but being a disciple of the late, great Bill Hicks has meant that he has also had to fight the urge to kill himself for being ‘one of Satan’s little helpers’. In order to validate his own existence, he has remained a perpetual student, almost to the point of academic self-harm, but has managed to scratch together an HnD in Professional Broadcasting, a Bachelor’s degree in Creative Writing and is currently crawling towards completion of a Master’s. Having misspent his life absorbing television and film like a goggle-eyed, malodorous sponge, he felt it was his duty to regurgitate his televisual and cinematic experiences into words, in an attempt to inform and titillate others. Oh, and possibly, eventually, to get paid to be a writer. Liam spews his particular form of rant-driven bibble into the world via Twitter and Facebook. Heather is a stay-at-home mother of rural Ohio who has ideas about raising strong, intelligent children that are just as firm and resolute as her ideas about the necessity for a ginger Doctor and some sort of return to the wonder that is Firefly. A veteran intelligence analyst of the US Armed Forces, she now spends her time preparing for her return to college to pursue her degree in graphic and web design alongside raising her children. In her mind, nothing is better than sitting down with a good book, or settling in to watch something fantastic with like-minded friends. She also has some strange idea that gingers will someday inherit the earth, but don't mind that. Matthew is an aspiring Author, Journalist and Screenwriter – and an avid film and TV nerd! – With a degree in drama from the University of Greenwich. Currently a Masters’ student in Creative Writing, Matthew divides his time between his coursework, writing a novel and working part time – the money has to come from somewhere! Josh is a writer/director completing his 3rd year at the University of Greenwich on a Film and TV Production course. Often mistaken for a much older man, when he isn't trying to essentially make an r-rated version of Star Wars, he enjoys gaming, reading comics, and planning his next attempt to make a film larger and grander than himself. The current plan involves time travelling assassins. No seriously... Time travelling assassins. He ensures that it will all work out in the end. Oh yeah, he really likes his games, too!